I am thinking about changing from Google WiFi to the Multy X system. Can you change the IP range and also can you share a printer with the guest network (this part is very handy when you have a guest staying for a few weeks but don't want them on your main network). 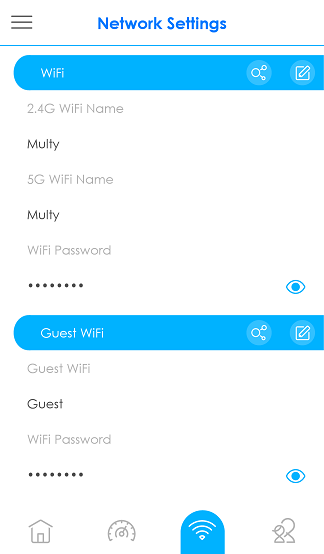 Multy X is supported Guest WiFi. But Multy X doesn't support custom IP Range currently. Thanks for your feature request in Multy X and we will evaluate it. Thanks for the information about the IP range. The question I had about the guest network was can I share a printer that is on the main network to also be on the guest network? The main network segment of Multy X is 192.168.212.X and the guest network segment of Multy X is 192.168.141.X, they cannot communicate each other.